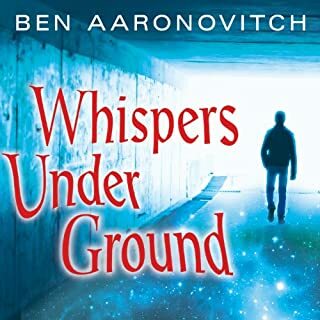 It begins with a dead body at the far end of Baker Street tube station, all that remains of American exchange student James Gallagher - and the victim's wealthy, politically powerful family is understandably eager to get to the bottom of the gruesome murder. The trouble is, the bottom - if it exists at all - is deeper and more unnatural than anyone suspects...except, that is, for London constable and sorcerer's apprentice Peter Grant. Another fun murder mystery in magical London, solved by the Metro Police’s apprentice wizard, Peter Grant. I enjoyed it as a mystery, although I’m not sure I could have figured it out from the clues sprinkled throughout the book – it depends on an intuitive leap on Peter’s part at the end. The charm, though, is in the story, the characters, and the world created by the author. Every book in this series adds to the magical London that the metro police’s “unusual” events unit must deal with. We got a little visit with our old friends, the sassy river goddesses, and to meet new ones, half-fairy (or is that half-goblin?) and those who live in the secret places that they’ve carved out underneath London, all of whom have their own set of natural laws and etiquette that Peter must learn to navigate. It becomes apparent that Nightengale isn’t exactly infallible or omniscient. And more Lesley – I’m really looking forward to how her character evolves over the series. 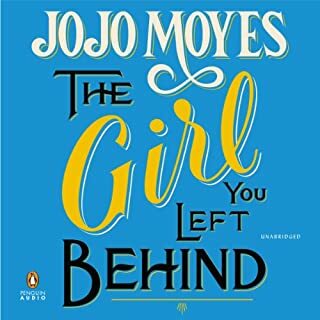 Audiobook, via Audible. Once again, the performance by Kobna Holdbrook-Smith is perfect in every way. I could listen to that man’s voice all day, every day. I was expecting another light romance, so I was surprised by such a grim read. This story is really more about coping with loss and persevering in the face of adversity, and contains some strangely joyless and certainly uncompelling romance on the side. It was interesting enough to keep me reading until the end, although most of it was while I was a captive audience for the audio on the long drive home from my family after Thanksgiving. Penelope Rawlins and Clare Corbett provide a very good performance as narrators. Forty two short stories later, I can say that I'm not sorry I've reached this advanced age without having previously experienced a greater range of Poe's work. Of course there are the three that I was already very fond of - the Masque of the Red Death, the Tell Tale Heart, and the Raven. Of the rest, only Berenice and The Black Cat were actually engaging. 90% of the other stories were interminable rambling followed by a brief and unsatisfying payoff. 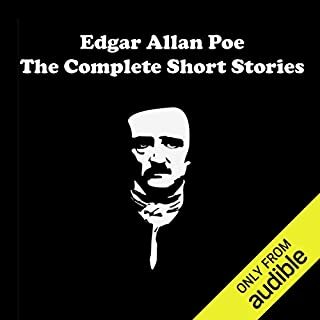 Classic stories from the original masters of horror, including Edgar Allan Poe, HP Lovecraft and Charles Dickens. 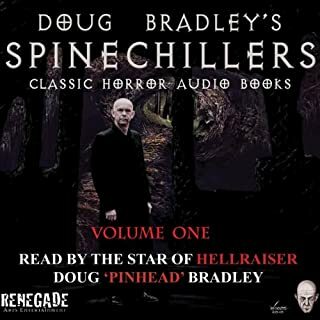 Read by horror icon Doug Bradley with music and sound design by Alistair Lock. This volume features William F Harvey's original undead hand story "The Beast with Five Fingers" that sparked many movies including Sam Raimi's "The Evil Dead". The perfect kick-off to Halloween season. Five of the six stories were new to me, and the sixth was Poe's TTH, which never gets tired. Unlike most audiobooks of classic short story collections, the production was wonderful. 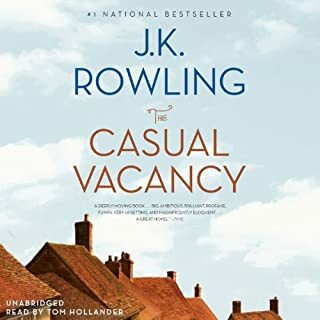 The narrator is lively and clearly having fun with the material, the sound is crisp and clear, and the music and sound effects add atmosphere rather than intrude on the consciousness. I will keep an eye out for the other volumes in this series. In Creekstone, Texas, a small, quiet suburb of Houston, football was king and David Temple was a prince. A former high school and college gridiron-star-turned-coach, he had a fairy-tale marriage to bright, vivacious Belinda Lucas, a teacher at the local high school who was so warm and popular her colleagues called her "The Sunshine Girl". The fairy tale ended savagely on January 11, 1999, when Belinda's lifeless body was discovered in a closet. Her skull had been shattered by a shotgun blast at close range. She was eight months pregnant. I picked this up because (1) true crime is one of my guilty pleasures (2) this happened very close to where I grew up, even though it was many years after I moved away from Houston. As a true crime, it was not bad. The storyline was unfortunately too common to be of much real interest and the writing was serviceable. The setting being of particular interest to me adds another star to the overall rating. The narration performance unfortunately detracted from my enjoyment, but I don't blame the Coleen Marlo for her consistent mispronunciation of place names. Tantor Audio should have given her the necessary information to do her job. But hearing Alief pronounced as "uh-LEEF" instead of "AY-leef", amongst several other gaffes, was annoying. Also, like many audio narrators, she substituted a vaguely Southern U.S. accent for a Texas drawl. 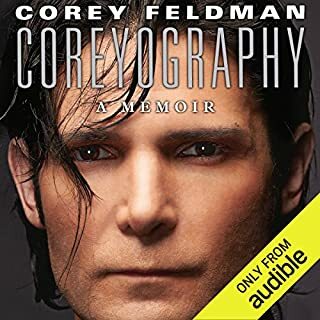 As a chronicle of Feldman's descent into and recovery from addiction and an explanation of his relationships with Corey Haim and Michael Jackson, this is a serviceable record. He walks through the steps and missteps of his careers in acting and music. He addresses the physical and sexual abuse he suffered at the hands of family and "friends" and the effect that sexual abuse had on Haim. But this is a rather dry and emotionless story which only seems to touch the surface of events. Feldman explains himself, but I didn't find myself emotionally engaged at any point. Even the break with Jackson, who had been practically the only genuine friend in whom he could trust, as Jackson was physically and mentally deteriorating toward the end of his life, seemed strangely bloodless. Feldman tells us he felt bewildered, hurt, and embarrassed, but I could not feel those things with him. In fact, he seemed more embarrassed and hurt that he was refused backstage passes and a ride on the bus than hurt that Jackson had withdrawn his friendship. One last bit that actively annoyed me. After (very appropriately) pointing out that a teenage Haim was still the victim of abuse even though he was the initiator in a sexual relationship with an adult man, he then goes on to crow with satisfaction about his own earliest sexual experience, which occurred as a teen with an adult woman ten years his senior. Evidently he only considers it abuse if the adult is male. 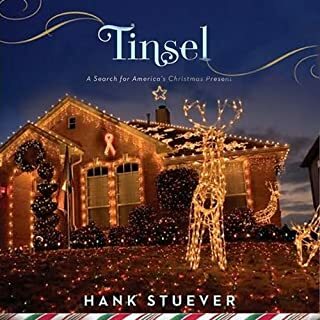 When Stuever's narrative begins, he's standing in line with the people waiting to purchase flat-screen TVs at Best Buy on Black Friday, the opening of the Christmas shopping season. From there he follows a number of key residents of Frisco, Texas, as they navigate through the nativity and all its attendant crises. I thoroughly enjoyed this book, especially as it was a refreshing change from the usual current holiday glurge. 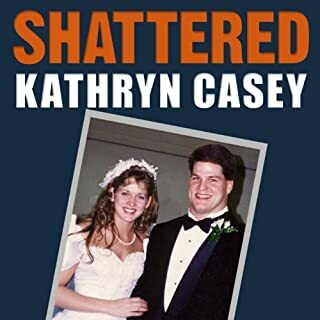 The author seems to give an honest picture of the families he followed, treating them with respect, affection, and humor. I think he did a pretty good job of capturing, from an outsider's perspective, what we all want Christmas to be, how we try to go about making it happen, and how it can sometimes fall short of that dream. He completely nailed Stonebriar Mall, Frisco, a certain type of affluent North Texas demographic, and Canton. I laughed out loud at his description of Canton, remembering my own WTF-moment when I saw the scooter-people last time I was there. My only criticism is his seemingly hurried treatment of the last two years of the book. He really only covers a single Christmas - 2006 - and just checks in and gives us an update of the 2007 and 2008 Christmases. It's unfortunate, because he was in a unique position to thoroughly document how the changing economy impacted our attitudes between those years. I remember 2008 as the year we could no longer pretend that there wasn't something seriously wrong with the economy, and that Christmas as especially black. But I suppose it wasn't *that* kind of a book. Ray Porter's reading was excellent. He lent a dry tone of voice to the text that seemed just right, and he gave a pretty good approximation of the Texas drawl. Most audiobook narrators seem to substitute a southern accent for Texans. 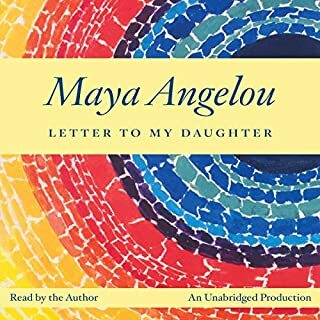 Maya Angelou has a voice like warm butter. If she read it aloud, she could make her grocery list sound wise and sensual and beautiful. When listening to her, I just want to nod my head and agree, grateful that she's sharing her thoughts with me. In this book, she recounts many of her personal experiences across eight decades of life. It's honest and sincere, and I was touched that she generously shared some of her own most embarrassing mistakes and what she learned about herself and the world through them. After finishing this book, which only took a couple of hours, I reflected back on her lessons and can't say that I can embrace them all, perhaps because my experiences are not hers. But I'm nonetheless grateful that she's shared the insight she's gained through her remarkable life, and in her own voice. I had low expectations for this book for a number of reasons. As a fan of JKR's Potter books, I knew that anything not-Potter would inevitably feel like something of a letdown. For example, any time poor Patricia Cornwell writes any non-Scarpetta book, she gets roasted by her Scarpetta fans. Also, the reviews for this book were generally poor. Although my taste differs significantly from that of professional book snobs, um, *reviewers*, I find the aggregate user reviews on Goodreads and Audible to be generally in the ballpark. Finally, the reviews I read generally indicated that this book was dark and grim, with a downer of an ending. Had I not enjoyed the Potter world JKR built so much, I probably wouldn't have read this book at all. Curiously, I had just been listening to Peyton Place on audio, and couldn't help but mentally compare the two. They are similar in theme - both are about the sordid realities hiding behind a small town's pretty facade, including the sort of small-town class politics and power struggles where the successful and unsympathetic fight with the successful and sympathetic over the town's civic responsibility to their "undeserving poor", as Alfred P Doolittle would say. I had the same difficulties at the start of the story, too. So many characters are introduced so rapidly that I simply couldn’t keep track of them all. This is a uniquely audio problem, because in a paper format, I’d be able to flip back and forth to remind myself what each character had been up to previously, until all the dots start connecting and the individual storylines come together. I suppose the comparison to the Potter books is inevitable, but JKR is successful in repeating and improving on one of the things I loved about those books. The huge cast of characters is wonderfully drawn. Each character is unique, and each character is flawed in some way, and stays true to itself throughout the story arc. What she has improved upon in this adult book is that there is no clear division between the “good” characters and the “bad” characters. Even her most unlikeable characters have some positive qualities (or at least sympathetic ones, given their eventually revealed histories and situations), and we understand how those positive and negative qualities drive their actions. The characters come from all walks of life and all situations, from the congenitally wealthy to middle class to children of heroin addicts. Had the children’s books been written this way, I wouldn’t have wondered where the inhabitants of Knockturn Alley went to school, because they obviously weren’t at Hogwarts. Many reviewers complained that the ending was too grim, but I have to disagree. There is tragedy at the end, but many characters have learned and grown from their experiences to varying degrees, and there is genuine hope for some at the end. This is very much a character-driven story, to the degree that there seems to be very little plot at all. Halfway through the book, though I was enjoying the characters, I wondered if there was a point to the story. At the end, I can see the point. But anyone who prefers a story with some action driving toward a particular end will not be happy with this story. It’s really just about people and how they behave and think and interact with one another. It’s about how attitudes and prejudices create the kind of society we live in. Tom Hollander did a fantastic job. Although he doesn’t attempt to create a unique voice for each character – that would have been nearly impossible with the number of characters – he read with feeling and I was easily able to distinguish one character’s speech from another. I enjoyed this very much, and may even possibly listen to it again sometime. Probably not. The story was well-written enough to keep me listening, but the characters were uninteresting and the secrets, once revealed, weren't worth waiting for. Would you be willing to try another book from Jacqueline Winspear? Why or why not? Maybe. There were bright moments when I was immersed in the experiences of the characters that made the time spent on this book worthwhile. For example, I was moved by Maisie's experience as a field nurse during the war. Have you listened to any of Rita Barrington?? ?s other performances before? How does this one compare? This is the first I've listened to. 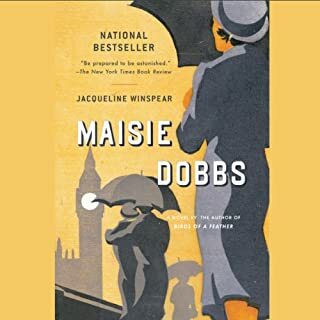 Do you think Maisie Dobbs needs a follow-up book? Why or why not? No. The main character is too perfect - a classic Mary Sue. She solves her mysteries mostly by a sense of intuition and fortunate coincidence. If I want a story with supernatural elements, I'd rather have straight out fantasy or horror, or even magical realism. In this case, it felt like a substitution for actually weaving in clues and reasoning.